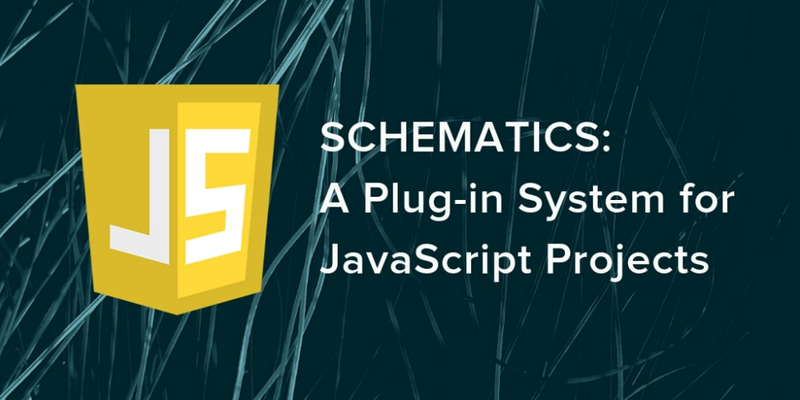 Schematics is a tool from the Angular team that allows you to manipulate projects with code. You can create files, update existing files, and add dependencies to any project that has a package.json file. That&apos;s right, Schematics aren&apos;t only for Angular projects! In this post, I&apos;ll show you how to use Schematics to modify a project created with Vue CLI. Why Vue? Because it&apos;s fast and efficient. Its default bundle size is smaller than Angular and React too! Bootstrap is a popular CSS framework, and Vue has support for it via BootstrapVue. In this tutorial, you&apos;ll learn how to create a schematic that integrates BootstrapVue. It&apos;s a straightforward example, and I&apos;ll include unit and integrating testing tips. Angular DevKit is part of the Angular CLI project on GitHub. DevKit provides libraries that can be used to manage, develop, deploy, and analyze your code. DevKit has a schematics-cli command line tool that you can use to create your own Schematics. Then run schematics to create a new empty project. Name it bvi as an abbreviation for Bootstrap Vue Installer. This will create a bvi directory and install the project&apos;s dependencies. There&apos;s a bvi/package.json that handles your project&apos;s dependencies. There&apos;s also a src/collection.json that defines the metadata for your schematics. There&apos;s also a test in src/bvi/index_spec.ts. One neat thing about Schematics is they don&apos;t perform any direct actions on your filesystem. Instead, you specify actions against a Tree. The Tree is a data structure with a set of files that already exist and a staging area (of files that will contain new/updated code). If you&apos;re familiar with Schematics, you&apos;ve probably seen them used to manipulate Angular projects. Schematics has excellent support for Angular, but they can run on any project if you code it right! Instead of looking for Angular-specifics, you can just look for package.json and a common file structure. CLI tools that generate projects make this a lot easier to do because you know where files will be created. The BootstrapVue docs provide installation instructions. These are the steps you will automate with the bvi schematic. You can use Schematics Utilities to automate adding dependencies, among other things. Start by opening a terminal window and installing schematic-utilities in the bvi project you created. Change src/bvi/index.ts to add bootstrap and bootstrap-vue as dependencies with an addDependencies() function. Call this method from the main function. Create a src/bvi/templates/src directory. You&apos;ll create templates in this directory that already have the necessary Bootstrap Vue imports and initialization. Add an App.vue template and put the following Bootstrap-ified code in it. Create a main.js file in the same directory with the Bootstrap Vue imports and registration. Modify the bvi() function in src/bvi/index.ts to copy these templates and overwrite existing files. In order to add dependencies to package.json, you have to provide one in your tests. Luckily, TypeScript 2.9 added JSON imports, so you can create a testable version of package.json (as generated by Vue CLI) and add it to Tree before you run the test. Create vue-pkg.json in the same directory as index_spec.ts. Now you can import this file in your test, and add it to a UnitTestTree. This allows you to verify the files are created, as well as their contents. Modify src/bvi/index_spec.ts to match the code below. Run npm test and rejoice when everything passes! You can verify your schematic works by creating a new Vue project with Vue CLI&apos;s defaults, installing your schematic, and running it. Start by installing Vue CLI if you don&apos;t already have it. Run vue create test and select the default preset. Run npm link /path/to/bvi to install your BootstapVue Installer. You might need to adjust the bvi project&apos;s path to fit your system. Run schematics bvi:bvi and you should see files being updated. Run npm install followed by npm run serve and bask in the glory of your Vue app with Bootstrap installed! Angular CLI is based on Schematics, as are its PWA and Angular Material modules. I won&apos;t go into Angular-specific Schematics here, you can read Use Angular Schematics to Simplify Your Life for that. This tutorial includes information on how to add prompts, how to publish your Schematic, and it references an OktaDev Schematics project that I helped develop. This project&apos;s continuous integration uses a test-app.sh script that creates projects with each framework&apos;s respective CLI. For example, here&apos;s the script that tests creating a new Vue CLI project, and installing the schematic. vue create vue-app -i "$config"
This project has support for TypeScript-enabled Vue projects as well. Got a minute? Let me show you how to create a Vue + TypeScript project and add authentication with OIDC and Okta. Run vue create vb, select Manually select features and choose TypeScript, PWA, Router. While that process completes, create an OIDC app on Okta. Log in to your Okta Developer account (or sign up if you don&apos;t have an account) and navigate to Applications > Add Application. Click Single-Page App, click Next, and give the app a name you&apos;ll remember, and click Done. Go back to the terminal window where you created the vb app. Navigate into the directory and run the app to make sure it starts on port 8080. TIP: If it starts on port 8081, it&apos;s because you already have a process running on 8080. You can use fkill :8080 to kill the process after installing fkill-cli. When prompted, enter your issuer (it can be found in Okta&apos;s dashboard under API > Authorization Servers) and client ID. When the installation completes, run npm run serve and marvel at your Vue app with authentication! Click login, enter the credentials you used to signup with Okta, and you&apos;ll be redirected back to your app. This time, a logout button will be displayed. I hope you&apos;ve enjoyed learning how to create Schematics for Vue. I found the API fairly easy to use and was pleasantly surprised by its testing support too. If you want to learn more about Okta&apos;s Vue SDK, see its docs. You can find the example schematic for this tutorial on GitHub. We&apos;ve written a few blog posts on Schematics and Vue over on the Okta Developer blog. You might enjoy them too. Follow @oktadev on Twitter to learn about more leading-edge technology like Schematics, Vue, and TypeScript. Web Developer, Java Champion, and Developer Advocate at Okta with a passion for skiing, mountain biking, VWs, and good beer. Learn how to build a health tracking app with React frontend and a GraphQL API powered by TypeORM and Vesper.